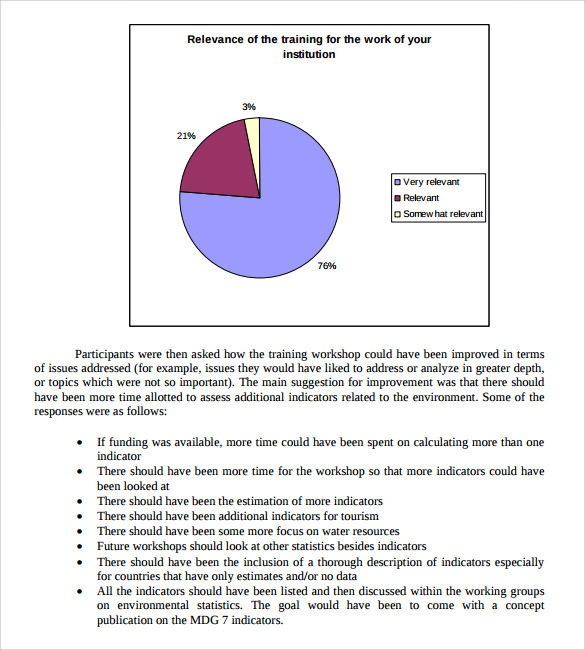 The sample Workshop Evaluation Form provides the feedback of the workshop and the efficiency of the workshop. 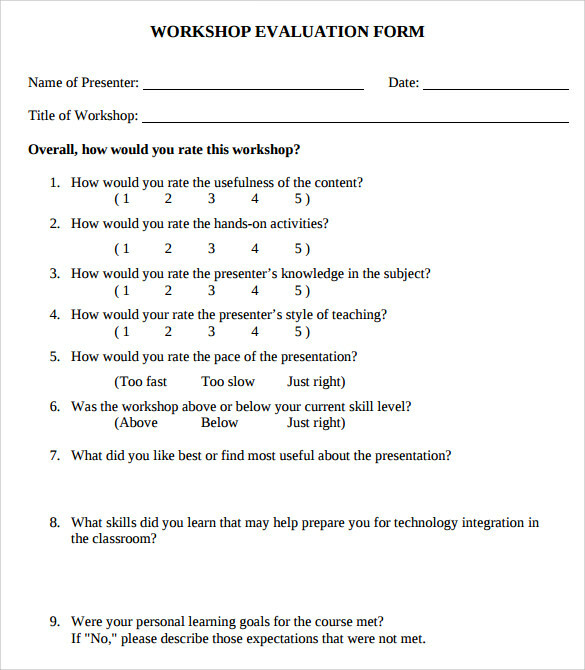 This will helps to suggest the different opinions of the applicants. 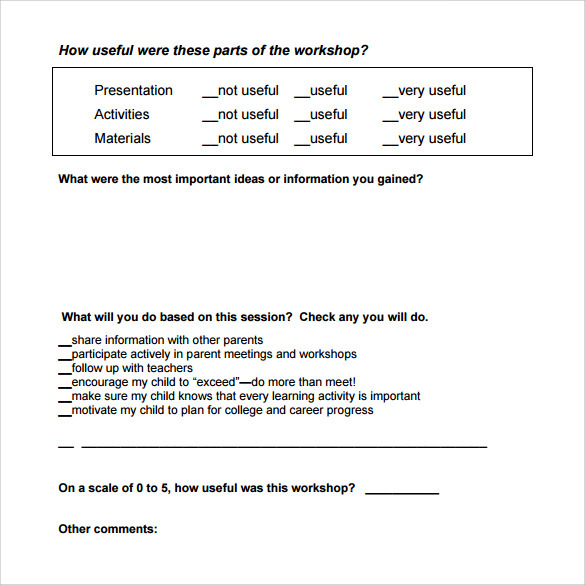 The workshop evaluation form includes different parts of details such as content, presentation, topic to be covered in the workshop, effectiveness of the workshop and comments and the suggestions of the views. 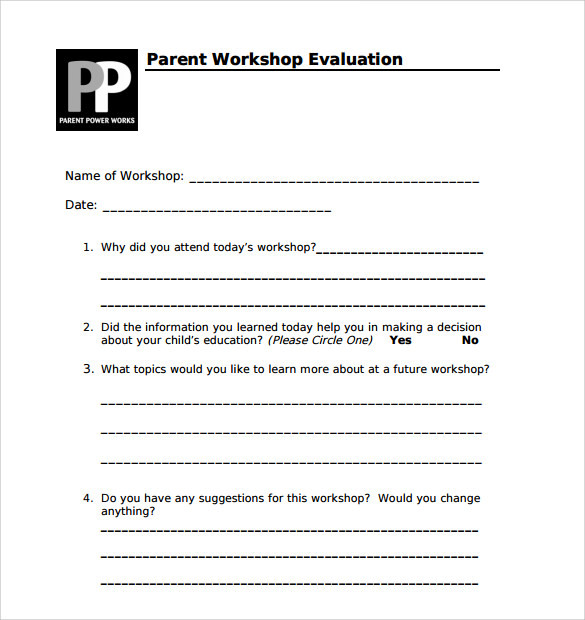 The main objective the workshop evaluation form is to get the effective details of the workshop. 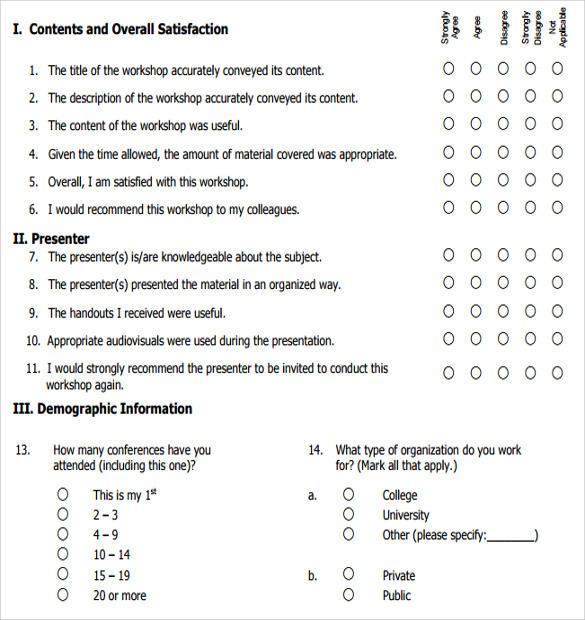 The organizers can get the feedback information about the workshop using this worship estimation form. 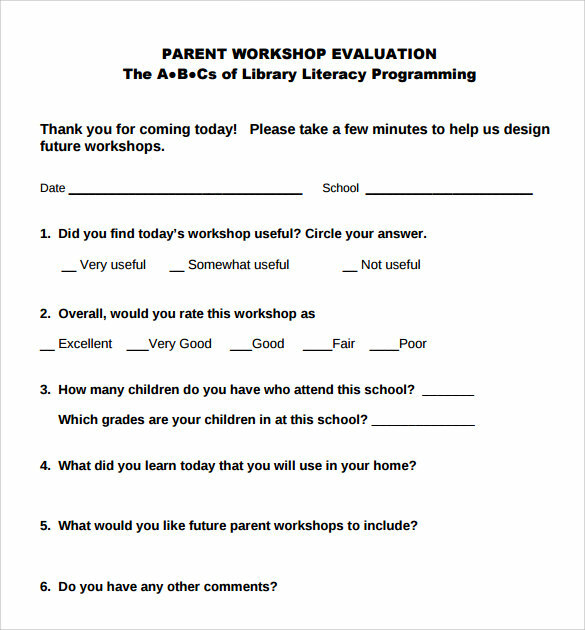 This will help to do the workshops in good and the effective manner.